a trip down to medan wouldn’t be complete without a visit to its nearby tourist attractions such as lake toba and berastagi. stand as the highest and deepest crater lake in the world, lake toba offers a spectacular view of its surrounding landscape. situated right in the middle of the lake is samosir island, which hosts some really interesting traditional villages. in tomok village you will be able to visit batak king’s tomb that is carved with mythical creatures. sipiso-piso waterfall is crowned the highest waterfall in indonesia. there are a few visitor points nearby this waterfall that offers a great vista of lake toba and the waterfall itself, making it a great photography point. berastagi is best known for two things – its fresh fruits and vegetable produce; and volcanoes. a hike up mount sibayak offers a great view of the berastagi town. since it still shows active geothermal activity, several steam vents and hot springs can be found around the volcano. mount sinabung on the other hand, is a much more active volcano where its most recent eruption occurs on 1st feb 2014. when the volcano is tame, you can take a short hike up the mountain without the presence of guides. 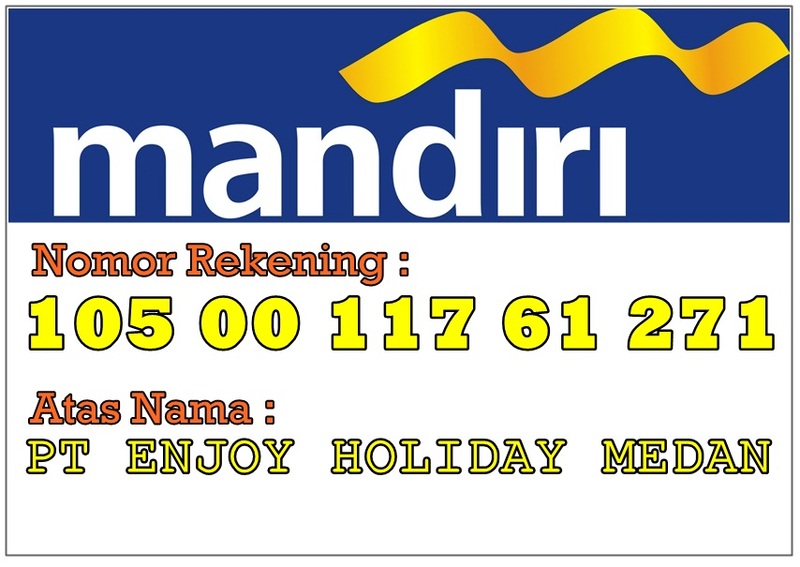 arrive in kualanamu international airport medan,welcome by enjoy holiday medan. then city tour in medan to visit maimoon palace, al-mashun grand mosque, and shopping at batik centre then transfer to local restaurant for lunch. after lunch depart for brastagi-a mountains resort with it’s refreshing weather and magnificent mountains scenery which has an abundance of flowers, vegetables and fruits. enroute we will visit shwedagon pagoda replica at taman lumbini. arrive in berastagi, visit fruits market, to buy some local fruits, vegetable. check – in hotel in brastagi. dinner will be served at hotel or local restaurant. after breakfast at hotel, then depart for parapat, stop at rumah bolon “the ancient king’s palace of batak simalungun”, sipiso-piso waterfall to see view of lake toba from the northern side, and simarjarunjung hill, to enjoy the special snack, ginger tea and fried bananas, or cassava (personal expenses). arrive in parapat, then lunch at local restaurant in parapat. after lunch, then samosir island excursion by motor boat to visits : tomok village to see the tombs of toba batak king “ompu sidabutar” (shopping place), ambarita village : to see the traditional batak village with ancient megalithic and the famous stone chair and the execution place of king sialagan. 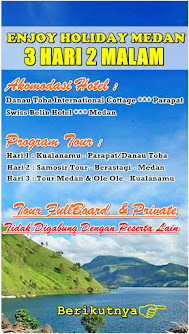 then check – in hotel in samosir island / parapat. dinner at hotel in samosir island / parapat. breakfast at hotel, then continue the journey to medan via tebing tinggi, drive along the road which offers the endless views of rubber, oil palms and cocoa plantations through the journey. stop should be made at pematang siantar for shopping of local product such as ting ting, teng teng, etc. arrive in medan, then lunch at local restaurant. after lunch in medan then city tour and shopping to visit al-mashun grand mosque or a chineese temple of gunung timur. afterwards to be continue with shopping around medan city, including to visit batik centre, pasar ikan and medan mall / sun plaza. afternoon check in to hotel. dinner will be served at hotel or local restaurant. nite life in medan.